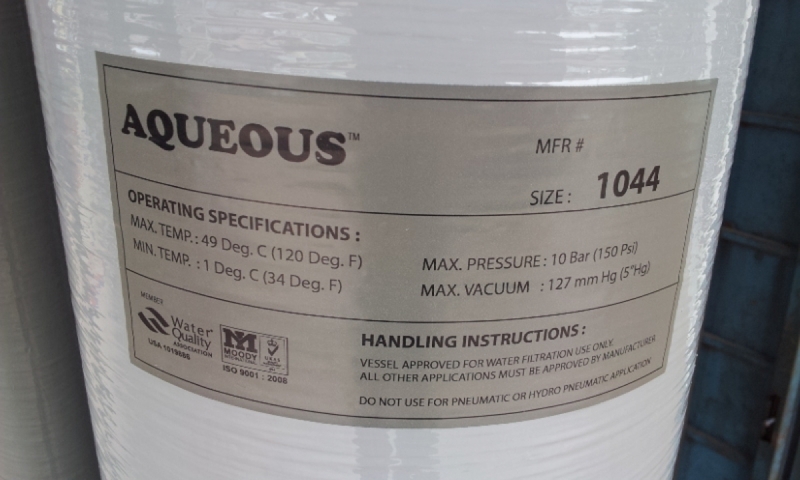 Aqueous FRB 1044 Outdoor Water Master Filtration System..
Aqueous water filtration system using the latest filtration technology which includes many features that can filter suspended solid in the water, separates water into small molecule for easier absorption and helps to remove waste from body. cleaning to cooking, it promotes you and your family a hygienic and healthy home. 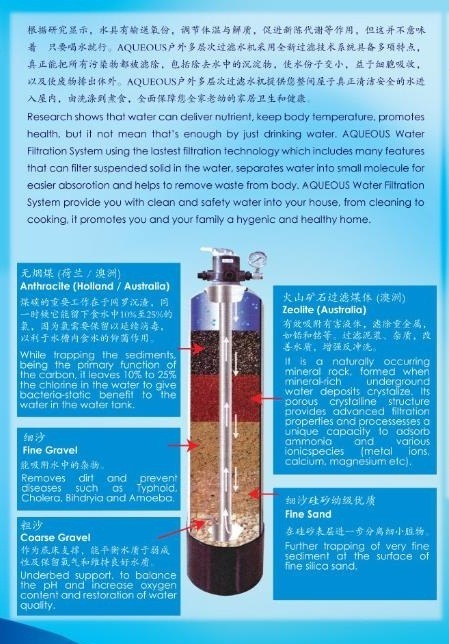 .Zeolite (Australia) - It is a naturally occurring mineral rock, formed when mineral-rich underground water deposits crystallize. 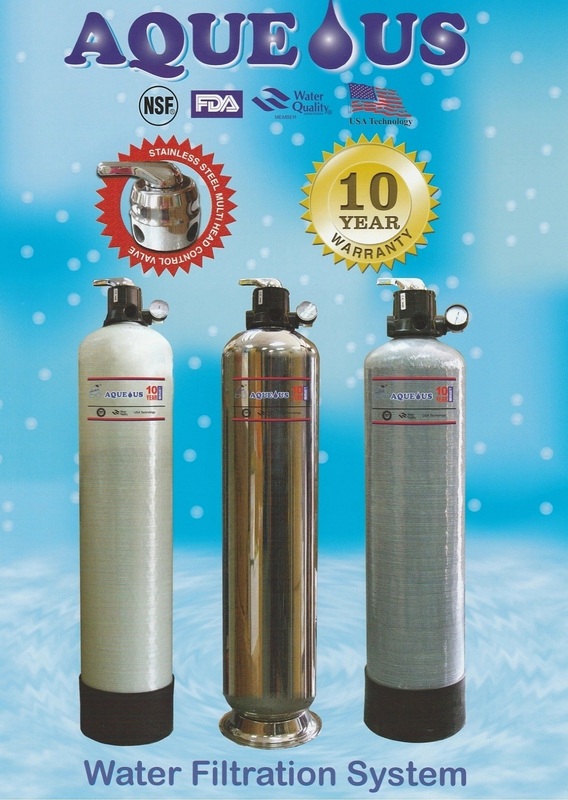 Its porous crystalline structure provides advanced filtration properties and processes a unique capacity to absorb ammonia and various ionicspecies (metal ions, calcium, magnesium etc). 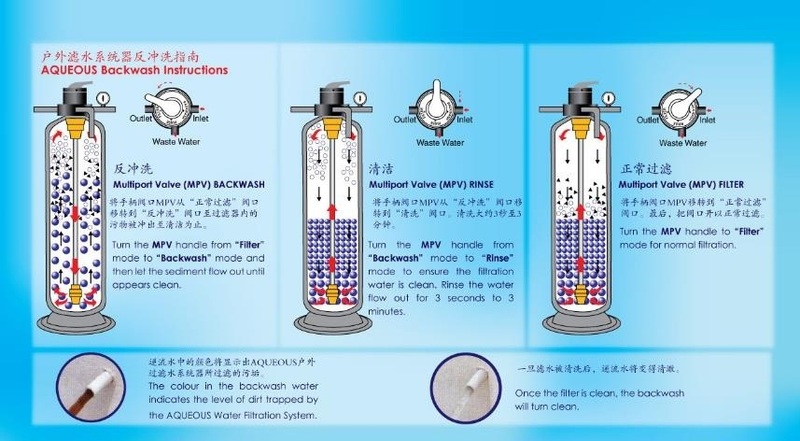 .Fine Gravel - Removes dirt and prevent disease such as Typhoid, Cholera, Bihdryia and Amoeba. 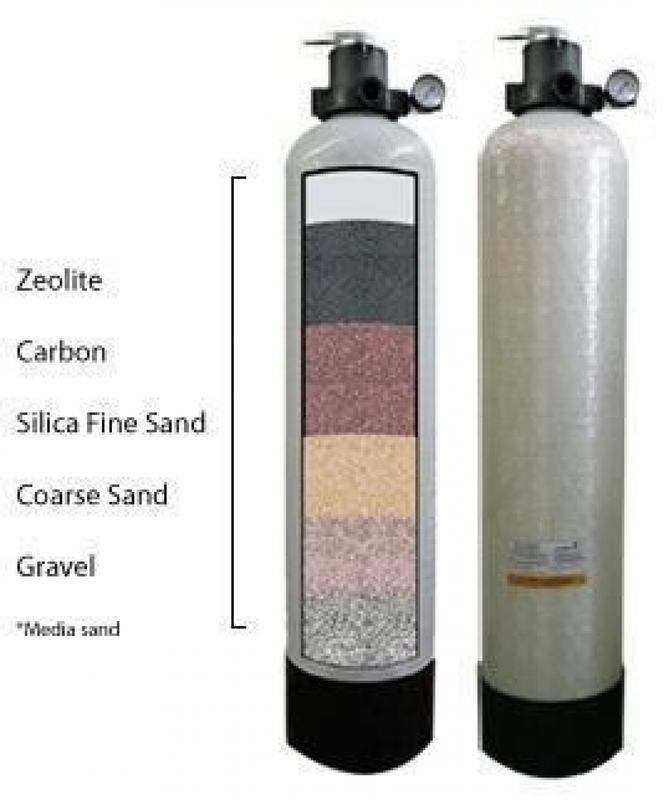 .Fine Sand - Further trapping of very fine sediment at the surface of fine silica sand. 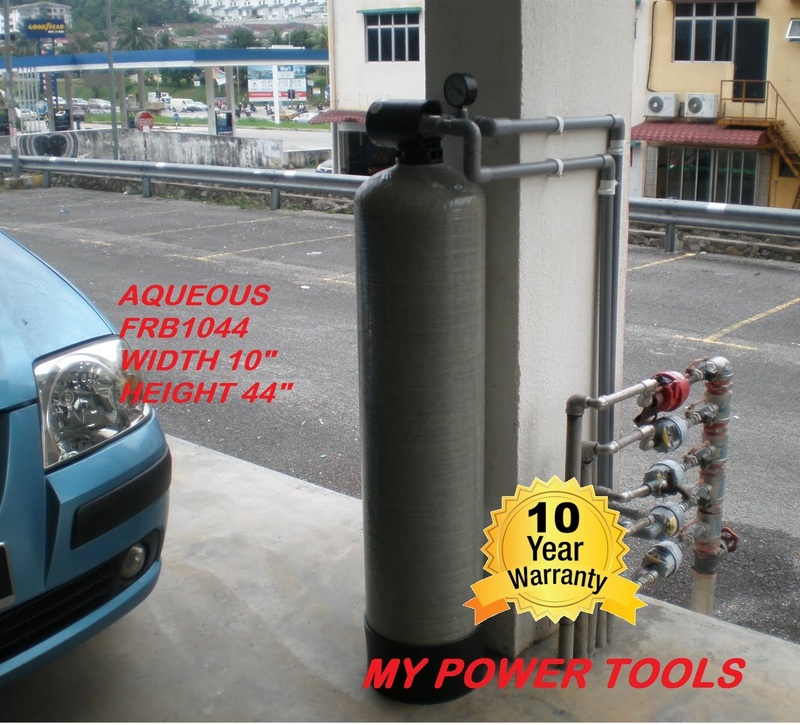 .Coarse Gravel - Underbed support, to balance the pH and increase oxygen content and restoration of water quality. 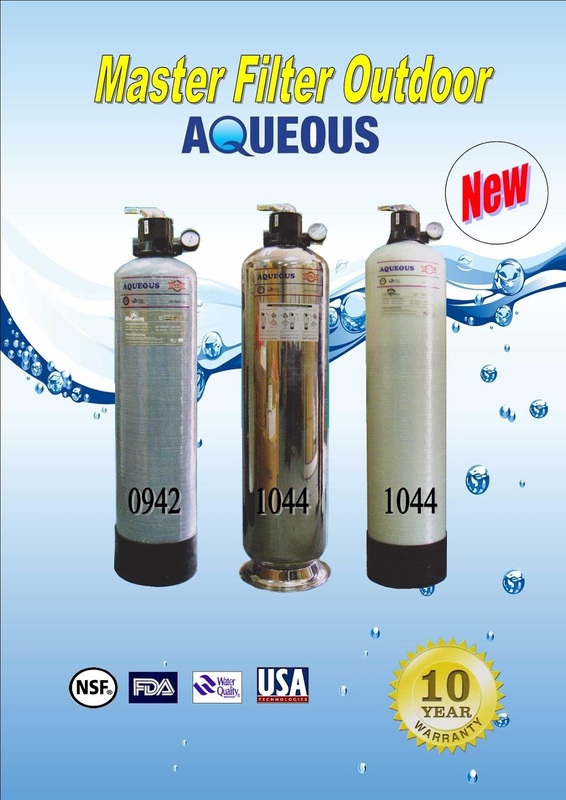 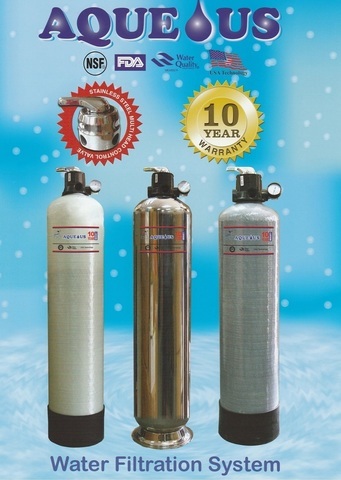 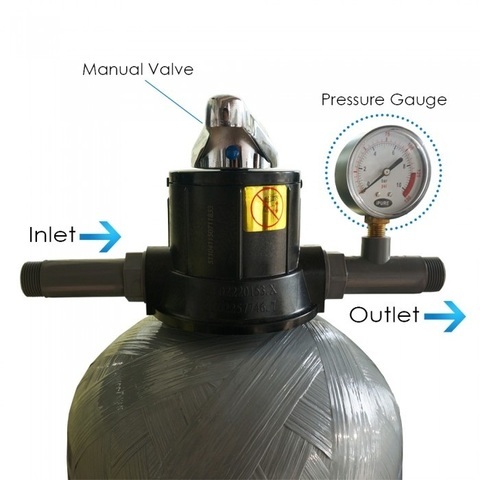 Valve size 1" or 3/4"
*10 Year Warranty on filter body only. 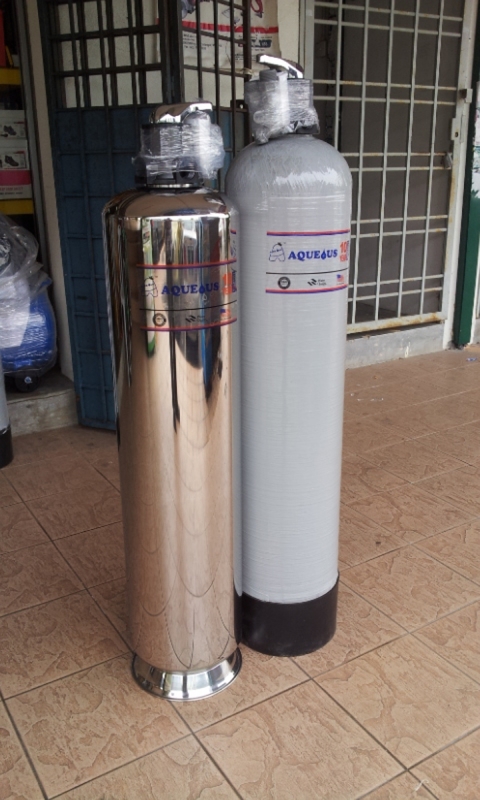 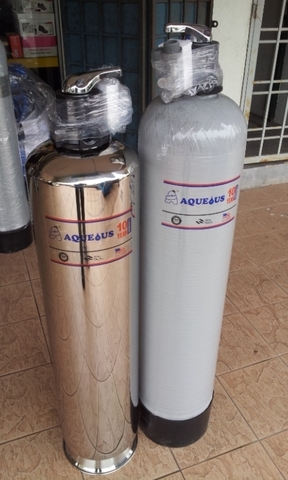 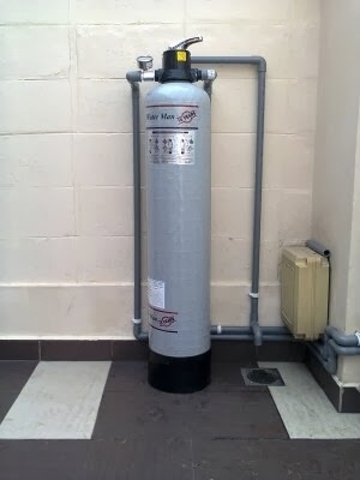 PRICE RM320.00..(Aqueous Water Filtration System)..